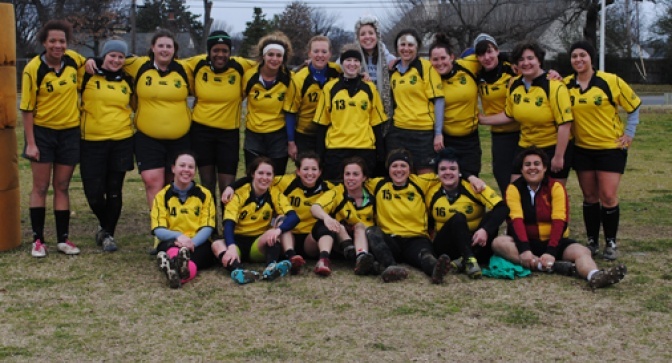 The Stone Lions, Nashville’s women’s rugby club, was formed in 1996 and has seen its share of ups and downs over the years. The Nashvillian team has battled through poor funding and constantly changing lineups in order to establish itself as one of the premier teams of the Southeast. There are currently about 25 women on the team and during the spring season they practice twice a week behind Charlie Bob’s on Dickerson Pike, whose owners have generously donated free usage of a field behind the restaurant. Women’s rugby is not a sport for the faint of heart. While black eyes and hard hits may be the common tropes associated with this sport, there is also an underestimated amount of “poetry in motion,” as O’Neill called it. Rugby is also just as much about what happens on the field, or the pitch (as ruggers call it), as what happens off of it. Hanging out with the opposing team after a game seems like a strange concept to most sports fans; isn’t there supposed to be heckling and animosity toward the folks with the opposite end zone? However, according to rugby etiquette, this is not the case. After games, the Stone Lions have what they call “The Social” where they hang out with their (hopefully recently beaten) opponents and treat them like old friends. A few times a year, they host “Post Office” parties at Tribe and “King for a Night” drag shows at Play to fundraise for equipment, field rentals, referees, and trainers.  The Stone Lions are also very supportive of the Grizzlies, the Nashville men’s rugby team, and all of their fundraising events. The rugby community is a rather small one, and they do their best to support each other. The Stone Lions pride themselves on being a family. When a new player joins the team, she is assigned a “big,” who is a veteran team member that acts as something of a big sister. She will show her “little” the ropes and makes sure she feels comfortable. Like a family, its members also lovingly give each other nicknames. Smashley, G, Flamingoes #1 and #2, Chainsaw, and Speedo are just of a few of the names thrown around in casual conversation. Some come from funny stories retold time and time again, and some are inside jokes that are probably best left to the imagination. This team is also comprised of an incredibly diverse group of women. O’Neill also stresses that rugby is a game for women of all shapes and sizes. Whether fast or slow, big or small, there is a place on the rugby pitch for most all women. The next home event is April 13 against the Atlanta Harlequins. The match will be held at 2100 Lebanon Pike in Nashville. The next weekend, April 20, their annual Prom Dress Match will take place at MTSU. The players go to thrift stores, pick out prom dresses, and then compete in them. All of their matches are free and open to the public. No Replies to "The Stone Lions show their heart"